Removes grease, grime and general dirt from multi surfaces. Use with pressure washers or manually. Removes grease, grime and general dirt from patios, driveways, garden furniture, uPVC window frames, BBQs, garage doors etc. 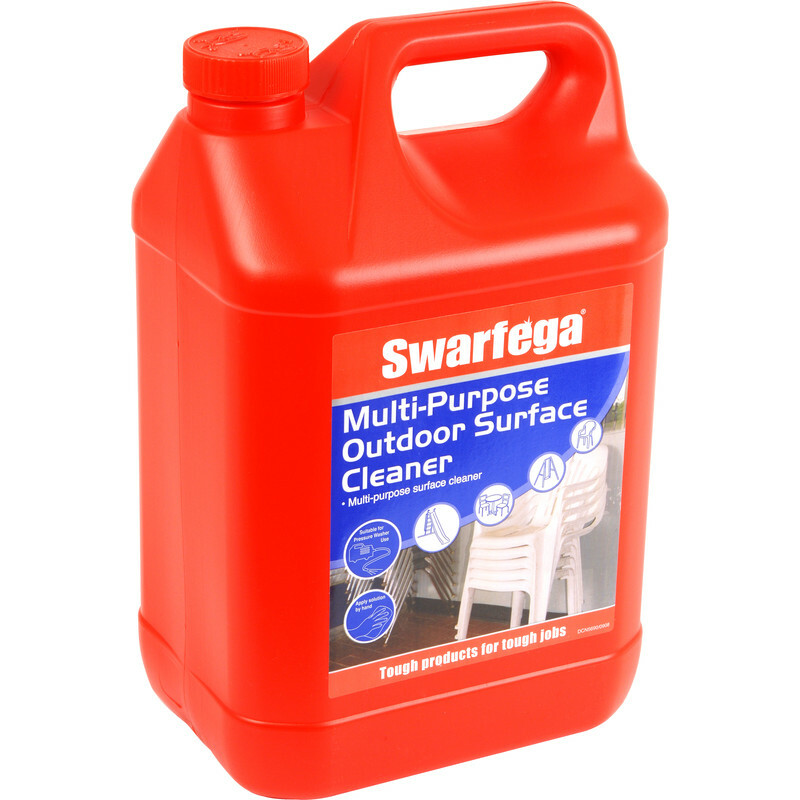 Swarfega Multi Purpose Outdoor Cleaner 5L is rated 4.4 out of 5 by 11. Rated 5 out of 5 by Izzzzzzzy from Good product Bought last week to jet wash the drive and patio. Great for loosening built up grime. As a previous reviewer, I sprayed on the cleaner and left it to soak for about 30 mins while applying to other areas. It really released the dirt when jet washed. Definitely use again.